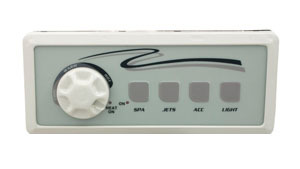 Spa Side Control Panels make your spa settings a snap. Without them you are dead in the water. 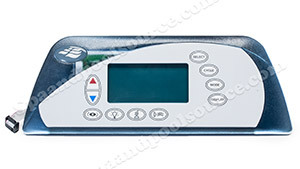 We offer a wide selection of Spa Control Panels from the leaders in the Industry: Advanced, Balboa, Brett Aqualine, Catalina, Dimension One, Ramco, Gecko, Hydroquip, Len Gordon, Pinnacle, Pres:Air:Trol, Spa Builders, Sundance, Tecmark, Tridelta, and Vita Spas. 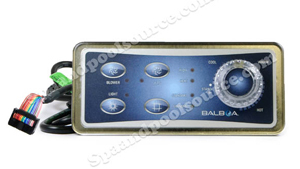 Balboa spa controls lead the industry in reliability, flexibility and innovation and is one of the largest manufactures of hot tub controls and panels in the world. 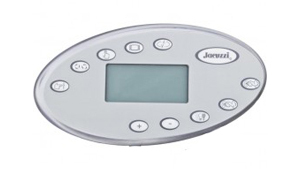 Choose from one of many of the Controls that is the right replacement for your spa. Brett Aqualine, Catalina Spa Side Controls made by Allied Innovations. Topside Controls for these two manufactures have changed in their faceplate look but are still the original design for your system. 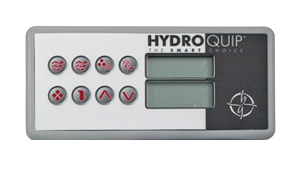 Hydro-quip Spa Side Controls. Manufacture of Spa Electronic Systems. 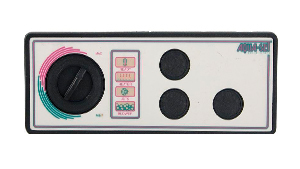 Len Gordon Spa Side Controls used on many Mechanical Spa Systems in the 1980's and 90's. The Aqua-Set Series was the most reliable Mechanical Spa System. Still used and adaptable to most spa equipment packs and OEM applications. 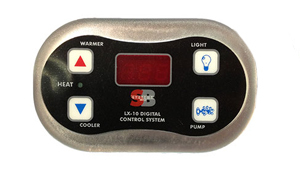 Spa Builders Spa Side Controls used on various manufactures as well as Sundance Spas. Sundance® Spa Side Controls. The Leader in Spa Electronic Technology. Sundance® Spas manufactures some of the most reliable spa side controls. We carry all Factory Direct Spa Side Controls at the most competitve pricing. In Stock, ready to ship to you! Tecmark, Tridelta Spa Side Controls. Originally Tridelta (TDI). 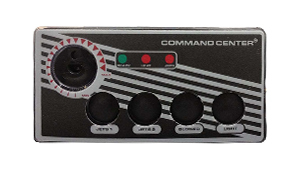 The CC Series Topside control features a precise solid state thermostat and sensor.